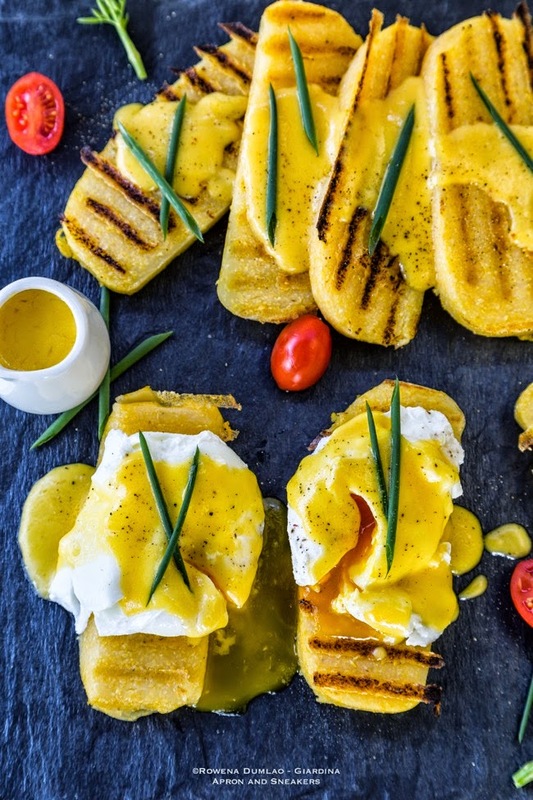 To make polenta for grilling, it's better to make it in advance like the night before if you want to have it for breakfast because there is a bit of work and waiting time involved. You make the polenta like how it is normally done by mixing it continuously in simmering salted water (cooking time depends on the kind you get, between 5 - 45 minutes). Next step is you transfer it in a rectangular pan to take its shape and that takes between half an hour to an hour of waiting for it to harden a bit, slice then you can start grilling. Another option is just to use the precooked polenta bricks that are available in the supermarkets nowadays because it is more convenient. 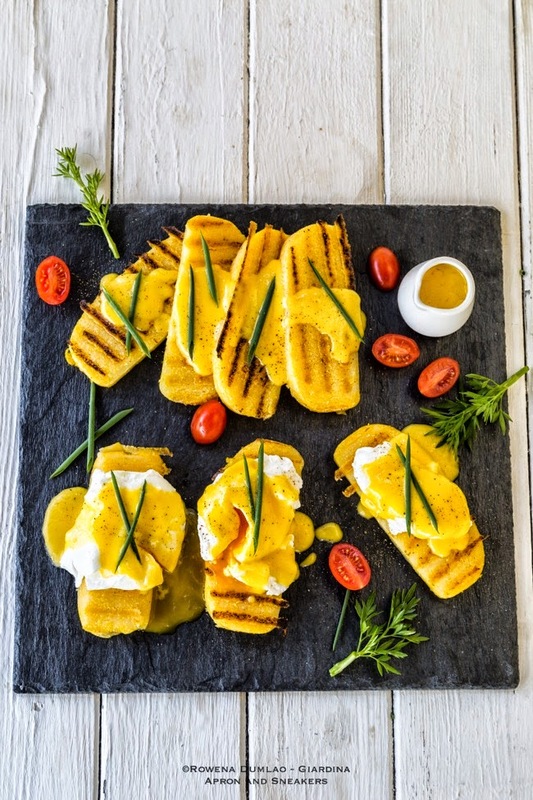 You just slice and grill and I find it much better to use in quick grilled polenta recipes like this one. So waking up to a beautiful Saturday morning here in Rome, I would like to share with something equally beautiful and delicious to start the morning. Tomorrow is Sunday and even Mother's Day so this can be a delicious and beautiful breakfast to have on such a special day. It's easy and dependably good. 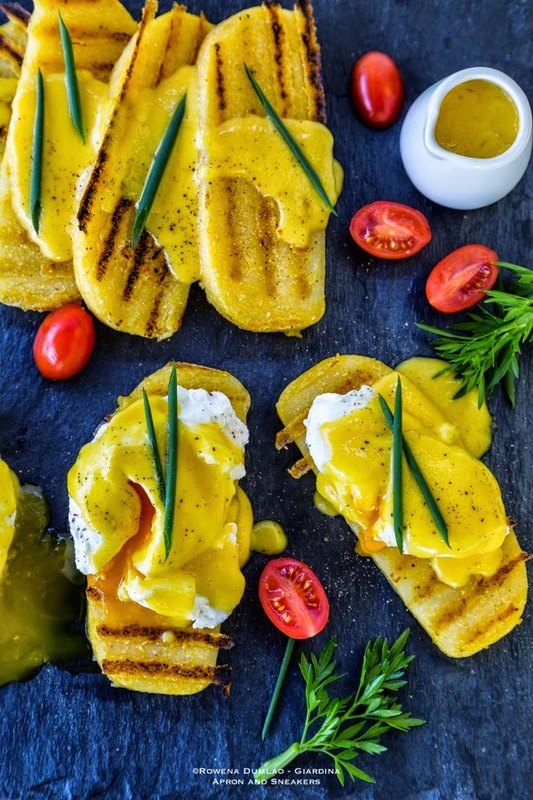 Buy the precooked polenta bricks and while you are grilling, make the Hollandaise sauce and poach the eggs. In half an hour, you will have something special on the table. 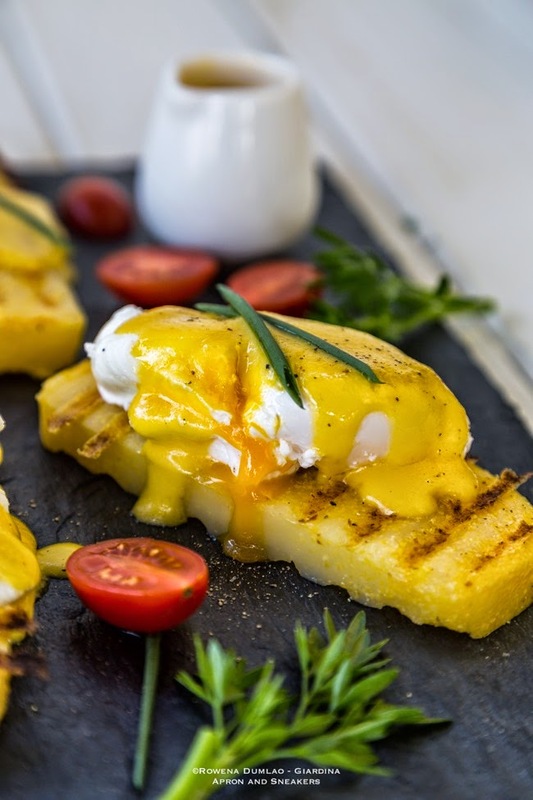 To get the full recipe of Eggs Benedict on Grilled Polenta, go to She Knows, a site where I regularly create recipes. Check out my Profile Page there to see other recipes that I have created. Enjoy your weekend!